Anyone find the "perfect" roadtrip vehicle? 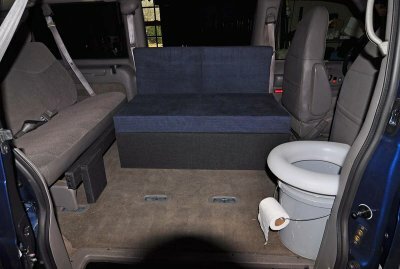 Re: Anyone find the "perfect" roadtrip vehicle? I like Ansel Adams old station wagon. I've seen several of his photos with an old station wagon with his camera and tripod set up on the roof. 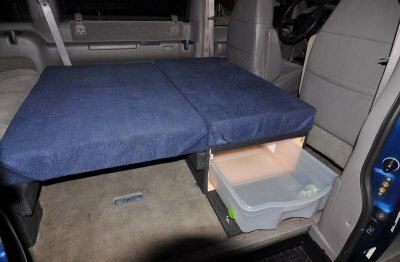 Assume a bedroll in the back..
Reading this thread, notice earlier posts from folks taking a Ford Escape on the back roads. 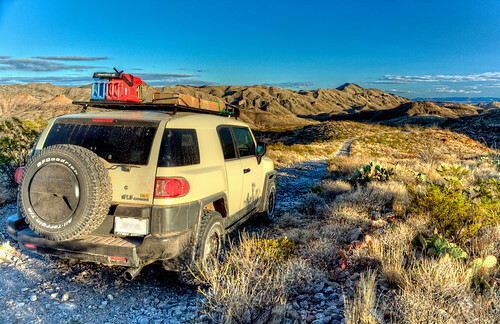 Hubby & I going to Big Bend in a couple of weeks, contemplating using a 2wd Escape this trip. Anyone taken Old Ore South to North in an Escape or think it can make it? 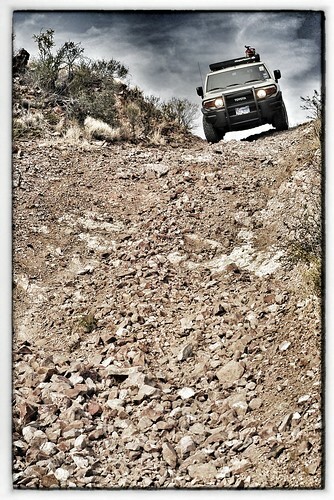 We took Old Ore in 2wd Jeep in past but it was a little rough making it a couple of spots. "Nothing can stop the man/woman with the right mental attitude from achieving his goal; nothing on earth can help the man/woman with the wrong mental attitude." There is a stream crossing north of Alto Relex that, depending on road conditions, could challenge the clearance of an Escape particularly if you don't cross at the right angle. But worse case with a shovel and little patience, I would think, yes. I can't help but think there is a gal involved on the decision making on the RV! Well you know if momma ain't happy, ain't nobody happy Plus 4 dogs in the travel trailer was a little cramped (even if two were pugs). Personally I'm the one who doesn't like tents (wife and son like to tent camp in the back yard while I say inside). I had a decent old Apache tent top popup that I rebuilt a couple of years before I got married. Figured it was not quite enough after it rained inside the tent one night in the mountains of NC one Oct. from the condensation. Robert, Ain't that the truth. Four dog nights here too. Starting to love these lower gas prices. Bought regular for $3.07 from a Shell station in Spring Texas today. Can't wait for it to drop even more. Looks like it's getting to be time for a road trip! Well, I'm still on the hunt. I just got an 04 Astro van. It has the extended body and is AWD and even has a rear differential locker of some sort. Apparently the AWD Astro uses the same parts as the trucks and blazers just with an AWD transfer case instead of a 4X4 case. I'm not rock crawling so the AWD version with a small lift and decent tires may work for my "escape pod". Time will tell but the plans for an overnighter conversion are in the works. Out with the back seats and in with a bed/storage frame. It won't be a new motorhome but I should be able to sleep in it comfortably and it it should handle any roads I care to travel.. Xterra now becomes excess baggage and my truck might finally get a rest. Seems like everytone loves their vehicle. W D Smithers wrote about his Dodge Roadster that he drove throught the BB from the early '20s to mid '30s. 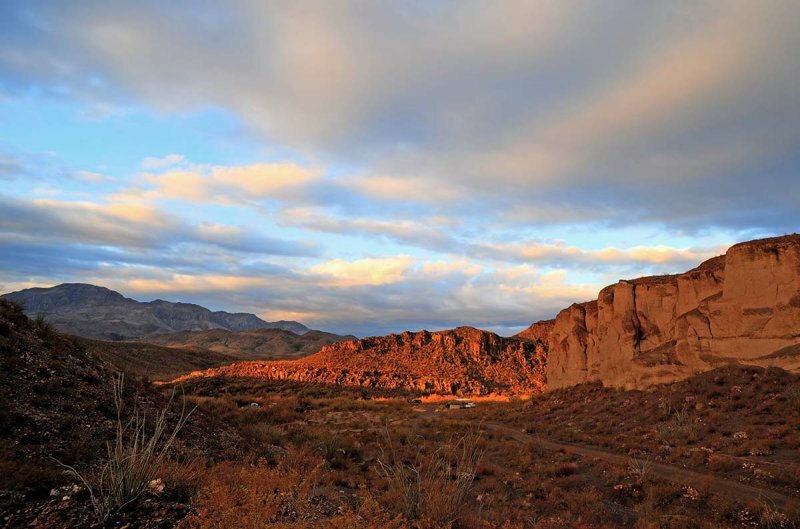 He would leave the mining district at Terlingua and take one of the old roads that ran on either side o Reed Plateau down to Castolon for a visit. He then drove along the old portion of River Road (along the River) to around Buenos Aires, where the road joines the present Riverr Rd. W, and on to the Johnsons ranch for a visit. After spending the nite at San Vincente, and a visit to a few Hot Springs, he'd head to Hannold's store and on to Boquillas. There is a photo of his Roadster up on Mesa de Anguila (somewhere). I have a few friends who have Sportsmobile products and have been quite happy with them. Those are nice but I really don't to want spend that kind of money yet. I think I found my next "road tripper" though. 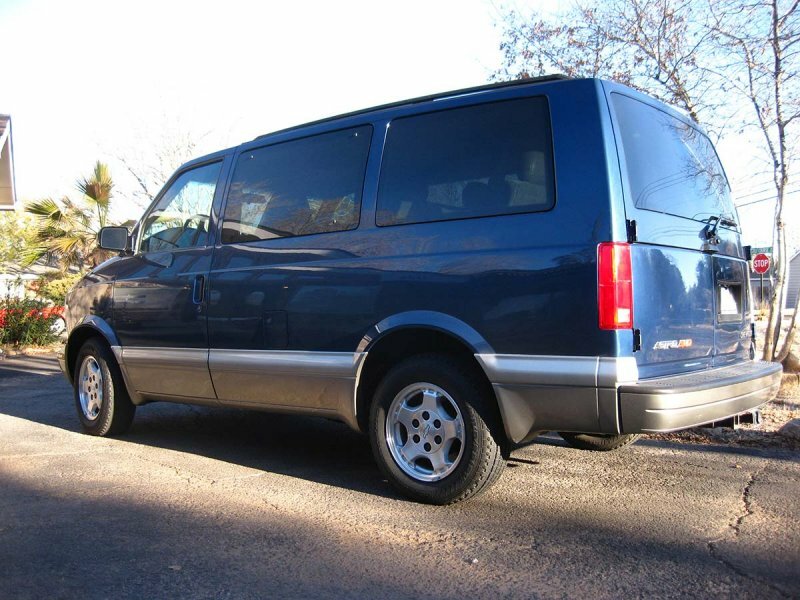 I just got a low mile 04 Astro van with AWD. It has 3.73 gears and a rear differential locker. Should be able to take me anywhere I want to go. Big enough for a queen mattress in the back (or 8 people) with a little room for some storage. Plan to add a small body lift, decent all terrain tires and better shocks. Should be ready by spring.. It won't be a sportsmobile but it should still be able to handle some light overnighting. Only complaint is the mileage, even with a 27 gallon fuel tank the range won't be what I'm used to.. I'll add to the post as I complete the transformation into a real "poor boy" sportswagon.. I'm really happy with my FJ Cruiser and its done a half dozen trips to Big Bend in a few years. The drive from Houston is comfy and it has no issues with any of the 4WD challenges in both the BB national and BB state parks. I play for keeps 'cause I might not make it back. The FJ is DEFINITELY an amazing vehicle! Anyone have any experience with the '11 (or '12) Jeep Patriot with the low gearing 4x4 options? They reviews on Edmunds are great, the car seems reliable, and it easily beats some of the other cars I've been considering as my final "daily driver/Big Bend/beach transportation" vehicle. Considering a Hi/Lo transfer case swap but will wait to see if I really need it. Now you just need a platform on top a la AA and you're ready to roll. Slept in my Wrangler Rubicon last year at BiBe. It wasn't very comfortable but I was worn out from hiking and too tired to set up the tent! 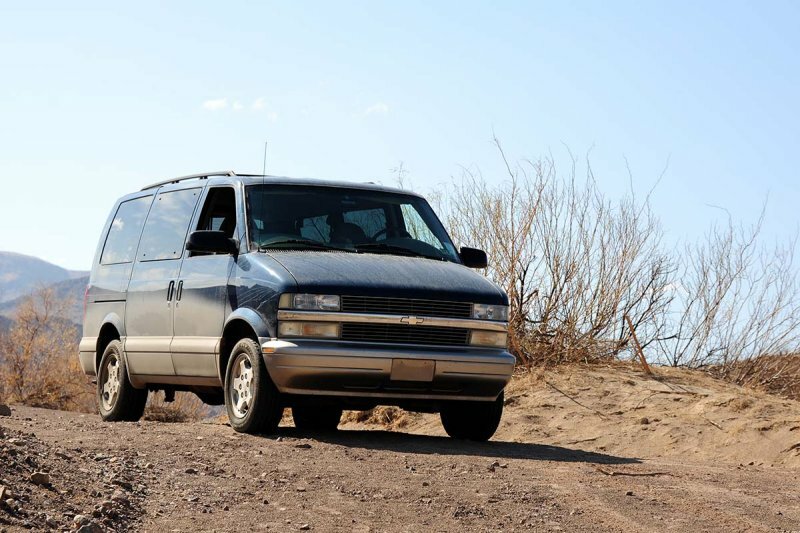 Took the van down to Big Bend SP with the Sibley Nature Center outing club for it's "maiden Voyage". It worked pretty well for such adventures and was perfectly comfy for sleeping in. Few little issues like forgetting the coffee, salt, pepper but nothing serious. Rained most of the night friday, glad I was sleeping "inside". Had the side windows open so I got to enjoy some of the outdoors experience without having to suffer them (-:}. Our camping area at sunrise.